Our care home fire training and nursing home fire training course is ideal for managers to develop fire safety procedures care homes and other plans. It is also suitable for care staff, domestic, maintenance and also catering staff. It covers all fire safety issues in care home and will also help maintain a safe workplace. Our residential care home fire training and nursing home fire training can be changed to suit your homes fire plans. This course is based on government, fire service and also British Standard advice. Some of clients have “Excellent” report by CQC for fire training and plans. We know that all care homes are different, so this course can be easily changed to look at you plans and any hazards you may have. This course is available as a morning, afternoon and also evening programmes. We can also provide multi sessions throughout the day to cover different shift patterns. Course participants will receive a certificate of attendance and provided with a link to residential care home premises fire safety booklet. Booking a care home fire training course / nursing home fire training with us is so easy! Either call or email us with your preferred date. We ask for some information about your care home and also ask you to agree our terms. Once we have the information your care home fire training is booked! We are an approved fire training centre and this course is accredited. We can add a live fire training session if you have a suitable outside space. How many people can attend our care home fire training session? You may place as many persons as you wish on the fire training session. It works best with about twenty persons on the course. This is because that is the maximum number we allow on a practical fire extinguisher session. It is also the best number when we carry out a fire drill for course attendees. Will you include our fire plans on the course? Yes we will include your plans on the course. We can also make suggestions about improvements to your evacuation plan if you wish. Do you include evacuation chair training in the care home fire training session? No we will not include evacuation chair, slide sheet or transfer sling training in our standard course. We can include these items if you wish but an additional fee may apply. Will you include the findings of the fire risk assessment in the fire training? Yes we can include the findings in the hazard spotting session. We may also be able to take photos of the faults and include them in the training too. Remember, we also carry out fire risk assessments, so can provide both services on the same day. We usually apply a discount for clients wanting both services. What do you mean that the course is accredited and approved? Some fire training providers apply for accreditation for their courses. We are accredited by the Institute of Fire Safety for Managers (IFSM). Other organisations that approve courses are the IFE, BAFE and CIEH. The IFSM is a fire industry body that looks at all fire industry providers. Since all of our courses are accredited we are also awarded “Approved fire centre” status. This means that we can make some small changes to our courses and still label them as accredited. Therefore we can add your plans if they are slightly different from the advice we give. What type of fire extinguishers can we use on the practical session? We will use water, foam, CO2 and wet chemical fire extinguishers on the course. Our team will clear away any evidence that we have carried out training on your site. We will also talk about fire blankets. Does our care home need a fire emergency plan? Yes. All workplaces need a fire emergency plan. This will include your fire evacuation plans. This will also include details of delayed, progressive horizontal and full evacuation methods. You will also need t include details of what staff should do when they hear the alarm. In addition, you may include maintenance of equipment, training and other issues. Contact us for a full list of information if you need it. 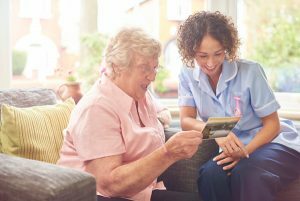 Fire safety procedures care homes – What do we need? Fire safety procedures care homes are important here is a quick list of what you will need. Our team can help you develop fire safety procedures care homes for your business. You could also consider other policies such as contractor and also hot work policies. Older buildings may wish to consider fire door surveys too! Fire safety procedures care homes – What type of evacuation should we consider? Fire safety procedures care homes are often complex. In addition, numbers of staff, particularly at night, may mean different procedures for days and nights. There is no requirement for qualified fire trainers. Our trainers have all worked for the fire service safety partnership and have carried out thousands of fire training programmes for staff. They have previously undertaken City and Guilds trainers to work as trainers in the fire service. In addition, some our trainers have Masters degrees in fire sciences. If you need more information about our trainers, either call or email us now! 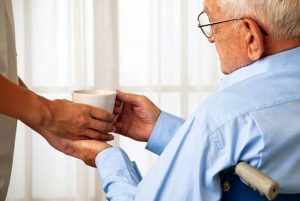 Fire training in care homes – how frequent should it be? Frequent fire training in care homes is essential in case a fire breaks out in your care home. Having well trained staff will help persons at greater risk to be evacuated or moved away from danger. Our fire training in care homes includes types of fire, extinguishers, evacuation methods, stages of fire. Fire training in care homes should be given to staff at least every year and in addition they must take part in regular fire drills. Fire training in care homes course. Does your course include a fire drill? Yes. When we provide fire training in care homes, we try to include a fire drill. If you have a large number of staff on the course, we may carry out two drills to make them more realistic. For more details about fire training in care homes either call or email us now! For more details about our care home fire training in London services read this article. You can also call us or email us for more details.